A popular menu of traditional Thai food. It also contains Thai spices that have anti cancer, antintioxidants, anti-aging and promote metabolism of the body. Composed of galangal, lime, kaffir lime leaves, chili, shallots, coriander and more. Sour taste are come from Garcinia leaves and Tammarind fruit, which provides minerals, vitamins, antioxidants. Help detoxification and excretion , constipation prevention. Help to eliminate fat in the liver and weight control. Protein value from organic straw mushrooms cultivated with organic straw those free of chemicals, sweet taste, crispy crust . 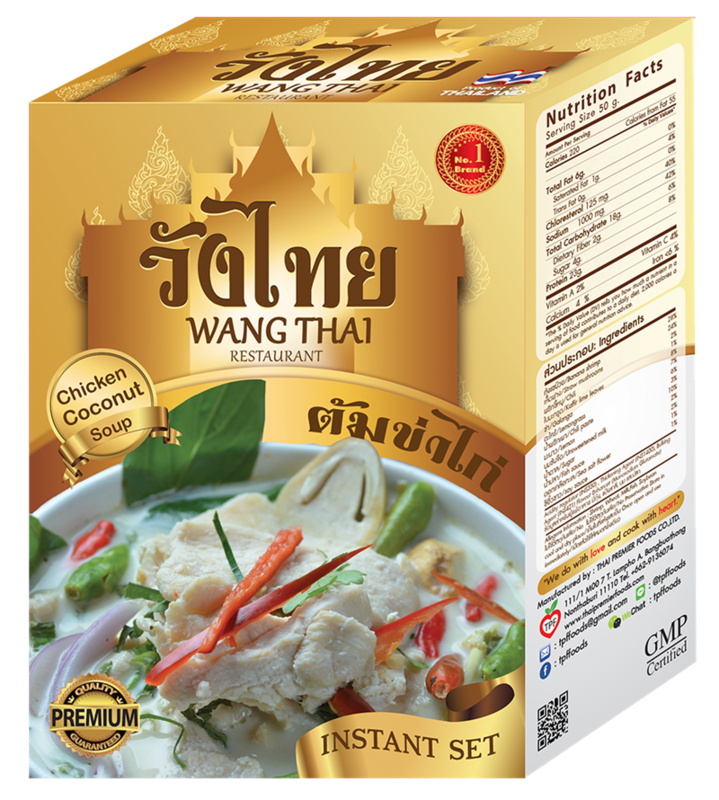 With chicken breast, that high of protein content but very low fat. Gives essential amino acids, vitamins and minerals to the body. And with a taste of spicy sweet, sour, spicy and mellow. A traditional art of Thai food recipes. Provide you the delicious taste and valuable health. This makes it possible to process food for long periods of time in dry form food. And return fresh after add water. Retain texture, flavor, taste and nutritional value of the raw materials. Our food products will be like freshly cooked food that just come from the oven by a skilled chef. We intend to make delicious foods with high nutritional value and safety . We believed that are what we eat , so , eat good things bring good health.